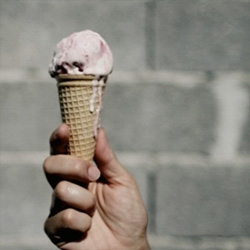 VIDEOCelebrating the simple pleasures of life, the charming short "The Pleasure of" by Vitùc. 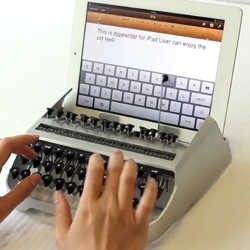 VIDEOiTypewriter by Austin Yang allows you to type on your iPad with a typewriter that has been specifically designed for the size and screen. 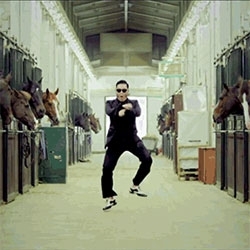 A little slow, but still cool. 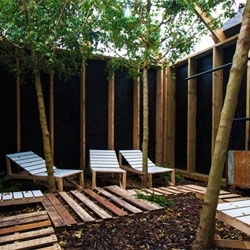 The Barking Bathhouse, an experimental spa and bar bringing everyday luxury and relaxation to Barking Town Centre for 8 weeks. 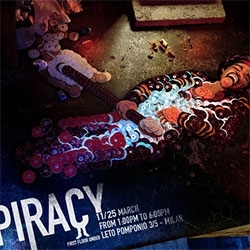 Commissioned by Arts Agency CREATE and designed and produced by Something & Son. World's Best Jungle Gym. 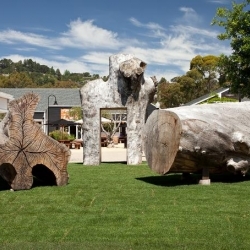 Newly constructed from massive fallen eucalyptus trees, it's an art installation —and a play structure at Marin Country Mart mall in Northern California. Stunning photograph of moths in flight by Steve Irvine. 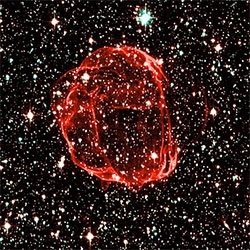 "Hubble's Hidden Treasures Revealed" - a look at some of the amazing photography winners... Stunning! 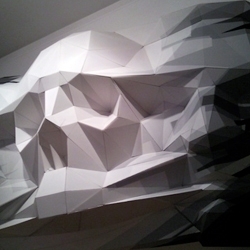 FOLDS is 3D angular sculpture by David Mesguich and Valentin Van der Meulen that shows the transformations of the faces associated with life and death. 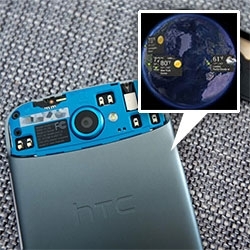 FEATUREDUnboxing the HTC One S ~ current phone favorite over at NOTCOT! Also, take a peek at some of my favorite UI details! The world clock is beautiful! 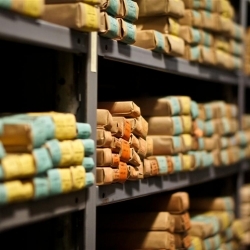 A tour of Arion Press, a typefoundry and limited edition book press, in the Presidio of San Francisco, California. 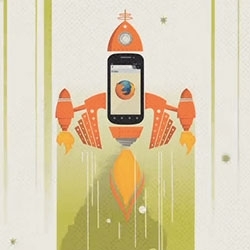 Adorable Firefox for Android video ~ great illustrations in this animation! 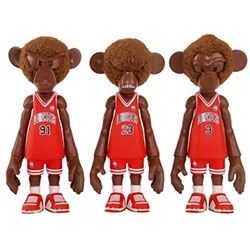 Korean toy artist Coolrain's Dunkeys series of monkey characters celebrating hoops and sneaker culture. 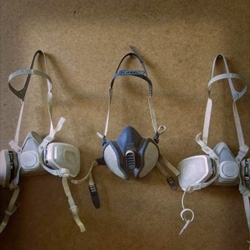 MINDstyle brings them into production vinyl in both 18” and 5” forms. 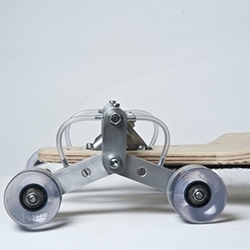 London-based designer Po-Chih Lai invented STAIR ROVER – a skateboard that could easily roll down the stairs. 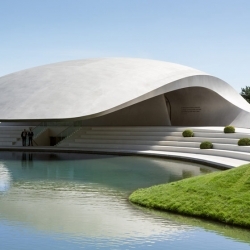 Autostadt, a theme park in Wolfsburg, Germany, with the new Porsche Pavilion, designed by HENN Architekten. 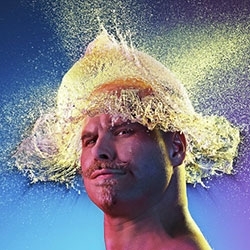 Adelaide-based artist, Emma Hack, is a skin illustrator, photographer and sculptor. 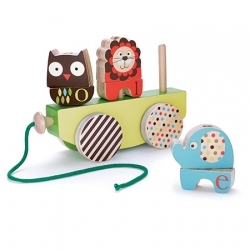 The Owl, the Lion and the Elephant get some wheels! 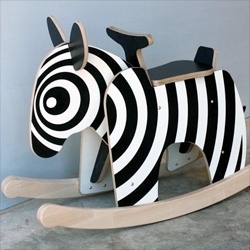 Wooden toys for Skip Hop by Sandra Isaksson. 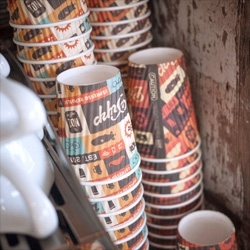 Salih Kucukaga designed these cute hot beverage cups for Dripp Coffee. Reebok's Fit Hub Experience ~ a store and crossfit gym in NYC just opened (following their Russia, Korea, and Dubai ones) Interesting to see more and more sportswear gym spaces opening. 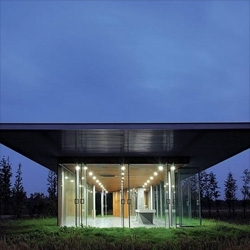 Beautiful Harvest Pavilion from Vector Architects, a shelter to wash and prepare crops during the harvest at a farm in rural China. 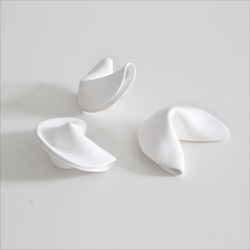 Porcelain Fortune Cookies by Aleksandra Pollner & OBJECT. 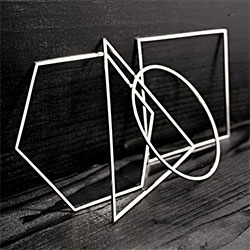 FEATUREDNOTlabs helped SubStudio laser cut/etch her wood frames for Brevity Jewelry's NYIGF Booth! 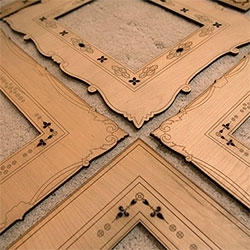 See the making of, as well as the finished booth! 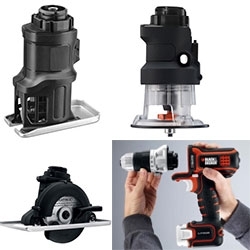 Black & Decker is going MODULAR with their new power tool - Matrix tool system consists of main unit containing a handle, motor and battery, to which the user connects: drill, impact driver, oscillating multi-tool, jigsaw, sander, router and circular saw. 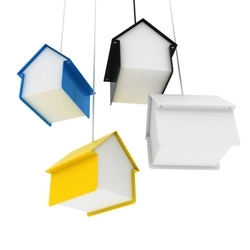 The Hut Pendant Light a beacon of light and shape, which directs our gaze upwards, pointing us home. From Australian based Under. 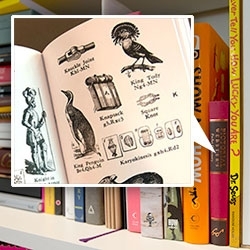 FEATUREDPictorial Webster’s: A Visual Dictionary of Curiosities By John M. Carrera now comes in a POCKET size! 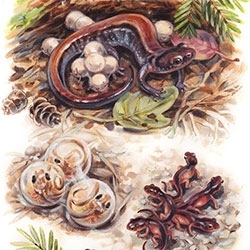 Nearly a quarter of the size of the original, here's a peek inside! 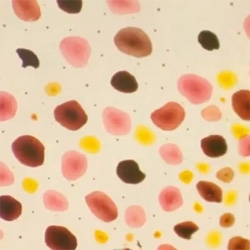 Great new series from Thomas Allen called Beautiful Evidence that creates artwork from old encyclopedias. A visit to the studio of stencil master Logan Hicks. 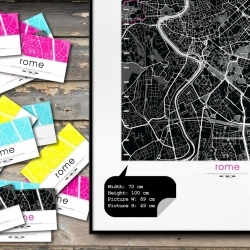 Paolo Gianfrancesco has released a set of graphic maps based on Open Street Map data. 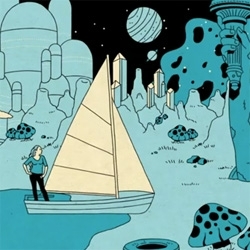 The series is still in development and will soon cover all the European capitals. 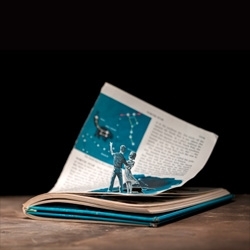 VIDEOJessiva Wise's excellent TED talk 'How fiction can change reality'. 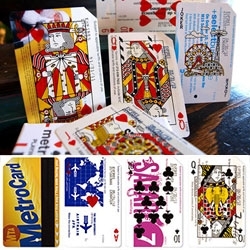 FEATUREDMetroDecks - nyc MTA subway cards upcycled into playing cards. 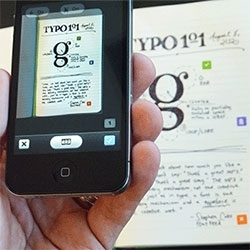 Each card is hand screen printed, and sets are encased in beautiful letter pressed packaging. Face cards have nyc inspired designs! 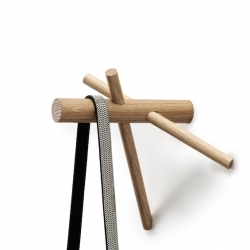 Brussels designer Benoît Deneufbourg drew this little wooden peg edited by Normann Copenhagen. Sober and simple in design, it consists of three pieces of oak intertwined like the wood framing. 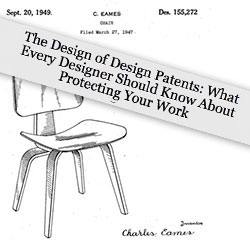 In light of the Pen Type-A/Torr situation #49788, here's a great must read from Core77 - their series "The Design of Design Patents: What Every Designer Should Know About Protecting Your Work"
Why rock on a horse when you could have a Rocking Zebra from Newmakers! 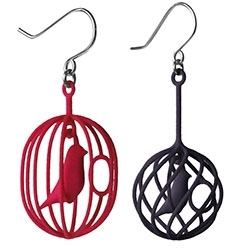 Check our their facebook page for rocking gorillas, pandas and more! This week’s roundup from NotVentures includes everything from LA’s hottest tables to Bora Bora escapes. 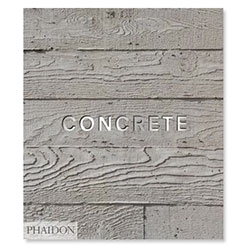 Phaidon's Concrete ~ add this to the list of books we're looking forward to! 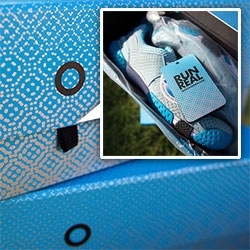 FEATUREDBeautiful packaging, branding, and use of patterns for the new minimal Skora running shoes. 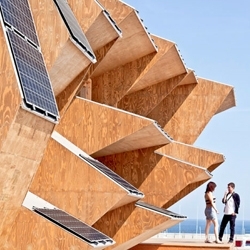 The Institute for Advanced Architecture of Catalonia designed and fabricated the Endesa Pavilion. 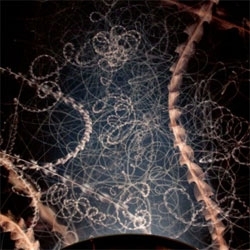 Optimally oriented for the charging of solar cells, with no direct sunlight in summer. Prefabricated in chunks and assembled on site. 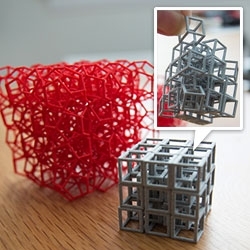 FEATURED3D Printed Interlocking Cubes ~ one made of cubes and one of dodecahedrons! Mesmerizing desk/fidget toys... see the details and the unboxing of my Shapeways order. 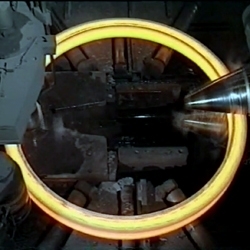 Ring Rolling is a forging method for producing large steel cylinders or rings. 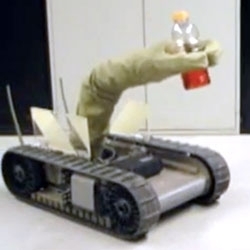 The process is mesmerizing! 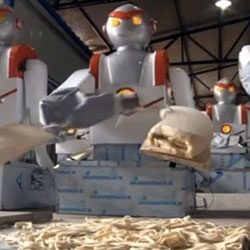 The 2012 FIRA RoboWorld Cup in Bristol, UK will host 26 teams from around the world and all the robots that come with them. The 5 day event has a variety of events, but the soccer matches are classic.